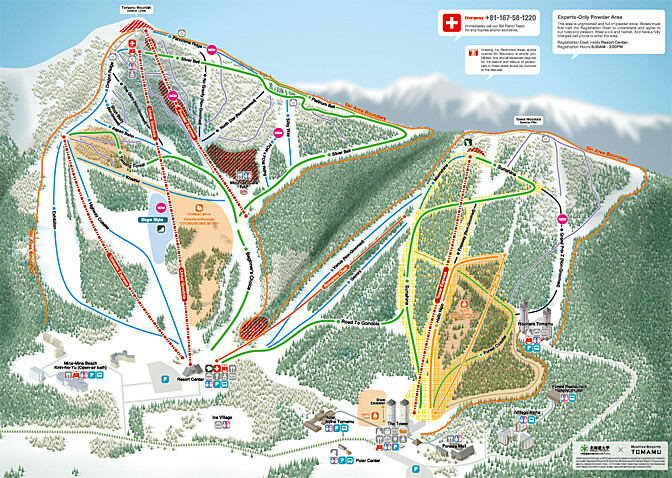 Located 90 minutes south of Sapporo, Tomamu Ski Resort boasts modern, high class facilities catered for all types of visitors and, including the Powder Area, is the 3rd largest ski resort in Hokkaido. The resort, which covers across two mountains, offers beautifully groomed slopes, several expert runs aimed for ski enthusiasts and a well-equipped lift system. Tomamu is one of the only resorts to include powder runs and tree skiing within resort boundaries and has organised procedures to ensure rider safety. The powder area offered at Tomamu has an exhilarating vertical drop of about 500m, similar to that of New Zealand’s Coronet Peak. As well as an in-boundary powder area, Tomamu provides a stunning weekend-only CAT Ski Tour and backcountry Tour during the weekdays. With additional costs it is possible to hire an English guide to accompany you. Children and families are not forgotten, with activities and facilities specifically catered for kids, including Adventure Mountain which is filled with ski and snow based fun. If you’re a foodie, or just looking for some amazing food alongside your holiday, then the vast range of restaurants, serving delicious, top quality food from around the world, then Tomamu will surely cater for your needs without disappointment. Summer brings about its own charm and beauty to Tomamu, with many opting to visit the Todai Deck and its stunning ‘Unkai’ (Sea of Clouds) view, and a number of other sights and activities only available during the warmer months. 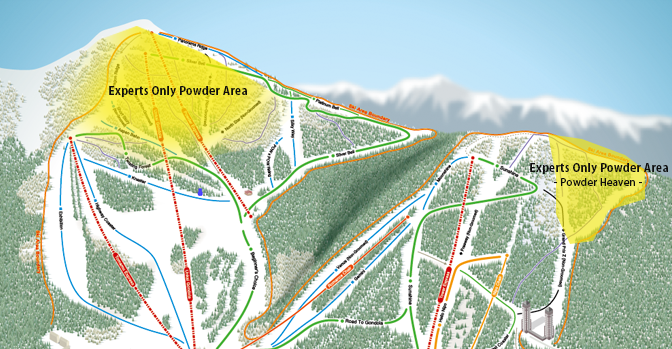 The Experts Only Powder Area is a powder located within ski boundaries and can easily be accessed by a chairlift. 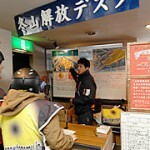 Guests who want to ride the Experts-only powder-area need to register. Official Tomamu site now offers online registration. Once you register online, you do not have to register again within the season. Please show the received e-mail at the registration desk. Using the online system in advance, will save you time when you arrive. *In house guests must report to and return the bib to the Registration Desk every day. If in any case the bib is not confirmed as returned by 3:30PM, our Ski Patrol, and possibly the local police will be dispatched for search and rescue. Any and all excess costs required for the search and rescue will be held responsible by the rescuee. 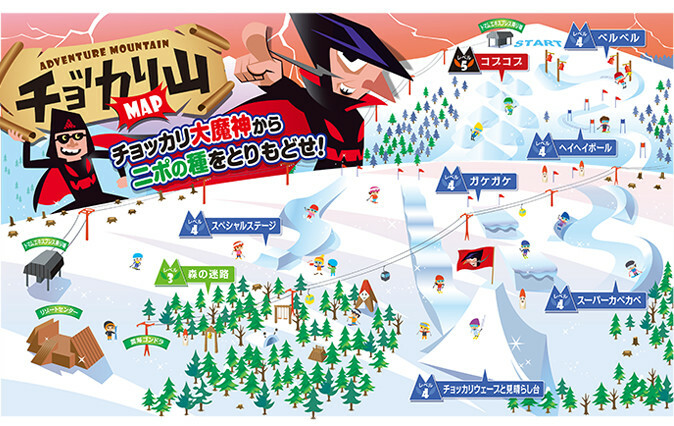 For the young ones, Tomamu’s “Adventure Mountain” and kid’s snow park “Nipo Town” offer fun slopes and activities as well as beginner ski and snow board courses for the whole family to enjoy. Located in central Hokkaido, 150km east of Sapporo, a bus trip to Tomamu takes about 2 hours from New Chitose Airport. We provide transfer options to and from New Chitose airport and Tomamu. We will organise buses according to where you are staying and will organise door-to-door services if necessary, as well as a meet and greet at the airport. If you wish to travel to Tomamu via private transfer, we provide a number of options to cater for your transport needs, regardless of group size. 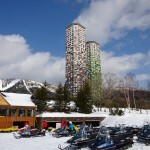 Tomamu is surrounded by a number of other ski resorts. Organised buses to travel to other resorts are available at your convenience, so please contact us with your plans or queries. “Surrounded by rich nature, wide slopes all to us. The mystic Ice Village bustling with things to do! 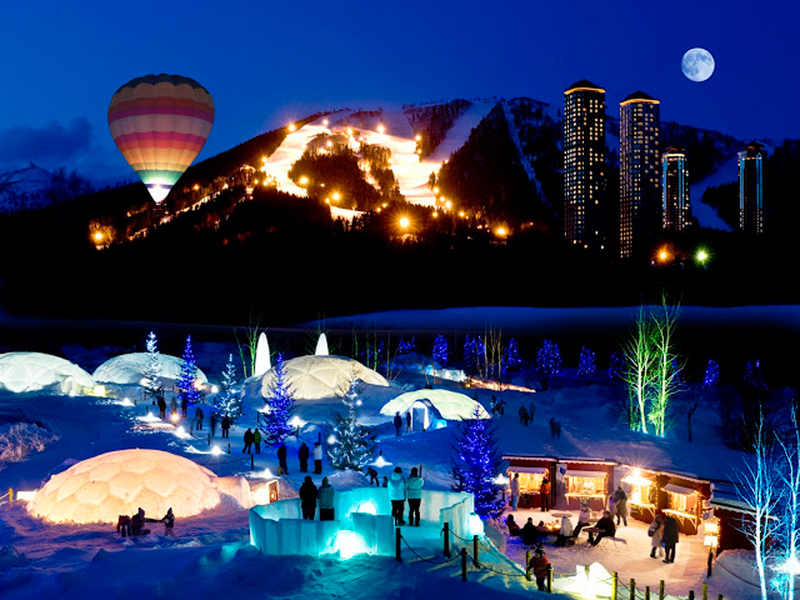 The area offers a Snow Park and Ice Skate Rink, while those looking a bite to eat and drink can check out the Ice Café and bars. There are also Ice schools and shops to make sure you don’t get bored. 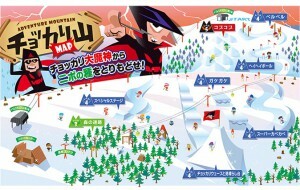 A variety of more than 20 activities to fully enjoy the vast snow covered field of Tomamu. Visit the Polar Village to discover the new and exciting ways on offer to have fun in the snow. 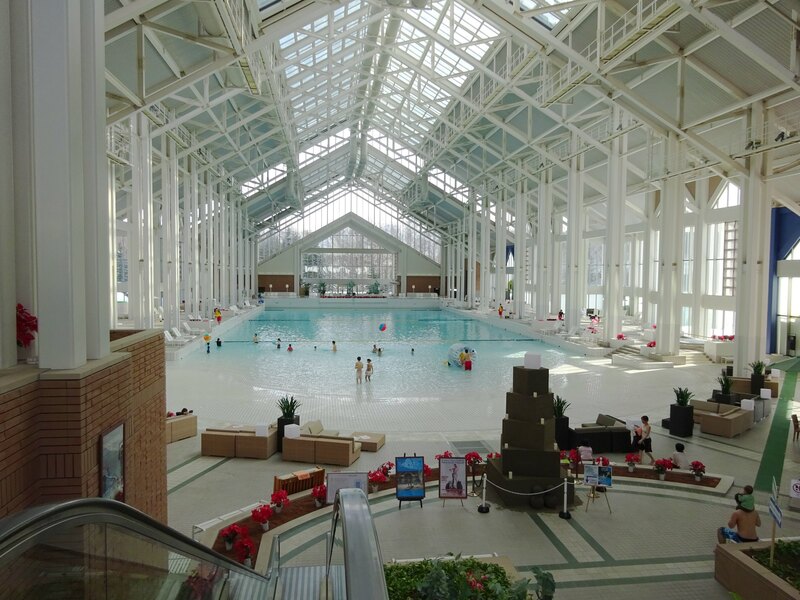 The word “Mina” is a local Ainu word meaning “smile.” One of Japan’s largest indoor wave pools (30m wide x 80m long), set with a hot bath and water-based activities and lessons. The name resembles it all; Big smiles on everybody’s faces. Numerous ski and snowboard schools are available for both group and private lessons. There is a variety of different children’s schools as well as for adults. English instructor availability depends on the season. Three rental stations are found at the resort, providing top quality gear and equipment. Returns can be done at any of the three stations regardless of which station it was borrowed from. Experience the Hoshino Resorts’ version of Japan Luxe, presenting unforgettable journey to places of unrivaled Japanese beauty. 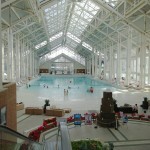 Hoshino Resorts is Japan at its very best. Come visit our collection of enchanting ryokans and resorts. Hoshino Resorts — Your destination. Your discovery. Your escape.